Co-creating the future Just imagine a future without poverty, hunger, or carbon emissions, where everyone has access to clean drinking water, electricity and equal economic opportunities. 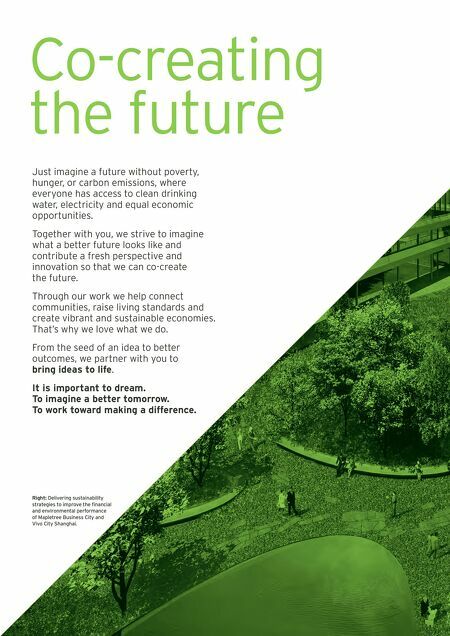 Together with you, we strive to imagine what a better future looks like and contribute a fresh perspective and innovation so that we can co-create the future. Through our work we help connect communities, raise living standards and create vibrant and sustainable economies. That's why we love what we do. 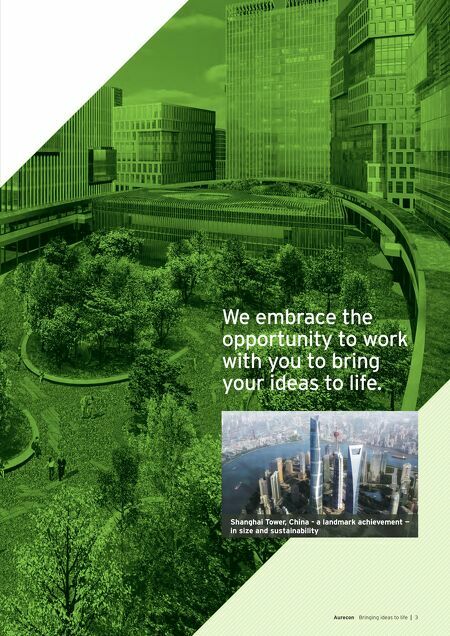 From the seed of an idea to better outcomes, we partner with you to bring ideas to life. It is important to dream. To imagine a better tomorrow. To work toward making a difference. Right: Delivering sustainability strategies to improve the financial and environmental performance of Mapletree Business City and Vivo City Shanghai.